Two police cars have been struck by an explosion which took place in the vicinity of a police cortege driving near Makhachkala, the capital city of the Russian Republic of Dagestan. One person has been killed and two others injured in the blast. 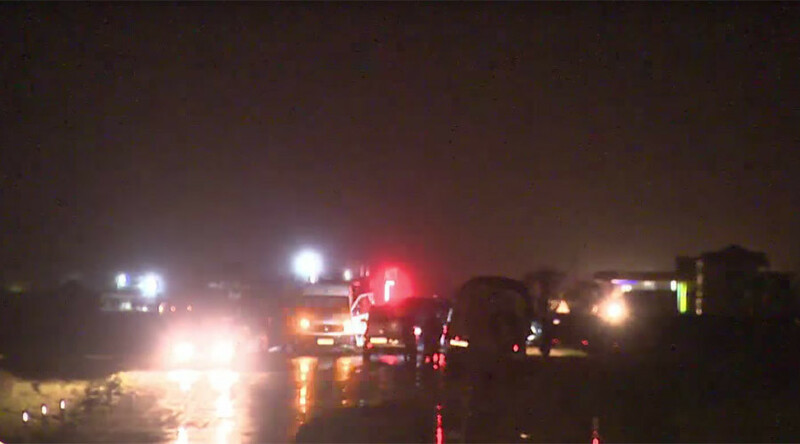 Dagestan's interior ministry confirmed that the cars had been caught in the blast , TASS reported. At least one policeman has been killed and two more have been injured, RIA reports. The incident happened near Makhachkala on the road to the airport, local law enforcement told TASS. Local media says the two-car cortege was full of policemen from the Russian city of Krasnoyarsk who had been returning to their base in the city of Kaispijsk after they finished their shift in Makhachkala. 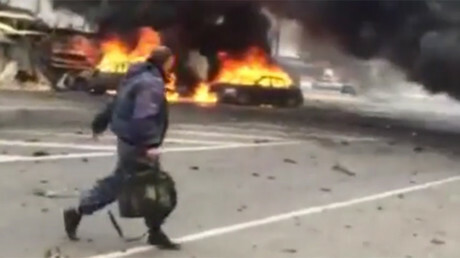 Watch deadly aftermath of bomb attack on police convoy in southern Russia. ISIS has already claimed responsibility for this. Earlier this month, extremists affiliated with Islamic State (IS, formerly ISIS/ISIL) were arrested some 70km from Makhachkala. Officials in the republic said that the detained fighters had been plotting attacks in Russia, adding that police seized over one ton of explosives and five kilograms of TNT in homemade bombs. In February, two people were killed and 17 injured by a car bomb at a police checkpoint in the restive southern Russian region, with IS terrorists having claimed responsibility for the attack. There are reportedly several IS supporters operating in the region, but the blame was being placed squarely on a local band of terrorists, Russia's Federal Security Service (FSB) said.